Join Dave Dawson and Dan Rempp form the Lehigh Valley Kayak and Canoe Club as they discuss building techniques and uses of the Greenland paddle. 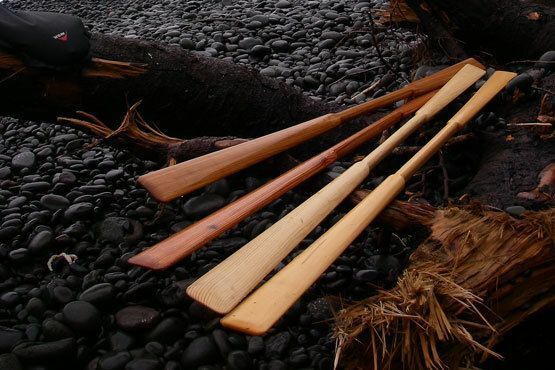 These traditional paddles are becoming more common as paddlers discover the unique characteristics developed by the Inuit Eskimo over thousands of years. Find out what it takes to make a paddle and how they can add a new dimension to your paddling experience. Dave and Dan have made several paddles and have been using them for several years in many different paddling environments. They will share their building and paddling experiences as well as bringing sample paddles, tools, books and even a Greenland kayak! Promenade at Saucon Valley 3301 Center Valley Pkwy.